One of the dilemmas we have when staging a house is working with limited inventory. Either working with a homeowner’s belongings, or in this case, working with what we have in storage. This house we did yesterday was vacant. 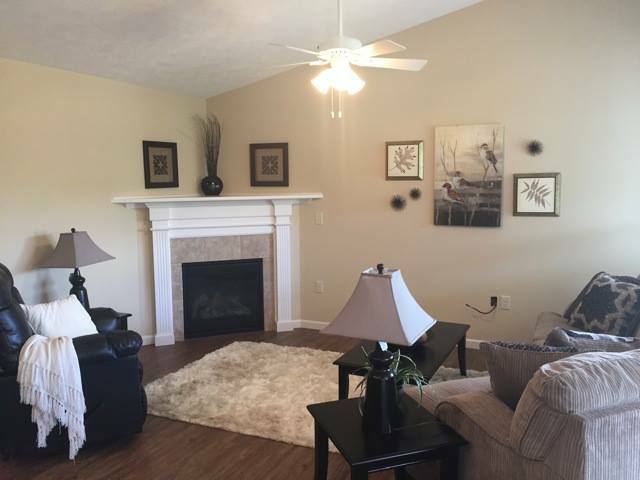 We had several homes staged and my inventory in specific color schemes was running a little low. I had brought all art I could find in our color scheme. We really needed a horizontal piece, not a vertical piece, for the wall space. 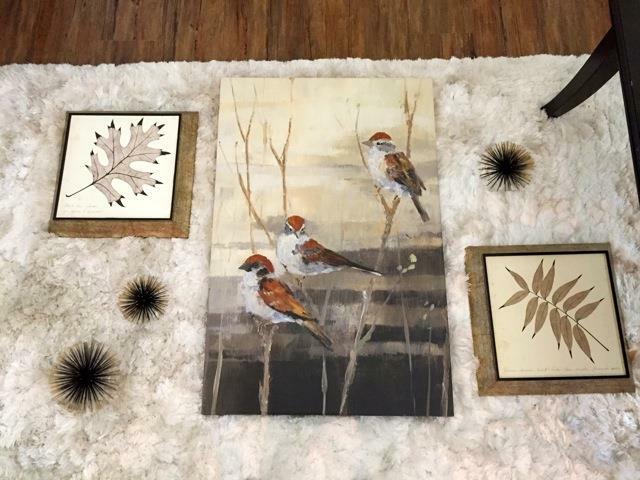 Nicole, our intern at the time, started arranging different art pieces together on the floor to create our horizontal piece. This is what she came up with. I love it! Try this at home when you want a new look. Gather all your art and lay them out on the floor in different configurations. Use smaller pieces with bigger pieces, flat pieces with 3 dimensional pieces. 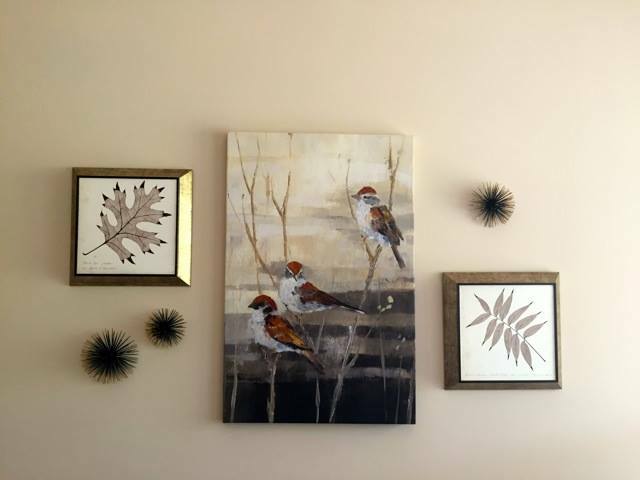 Play around, mix it up, and before you know it, voila!, you’ll have a great new wall arrangement.